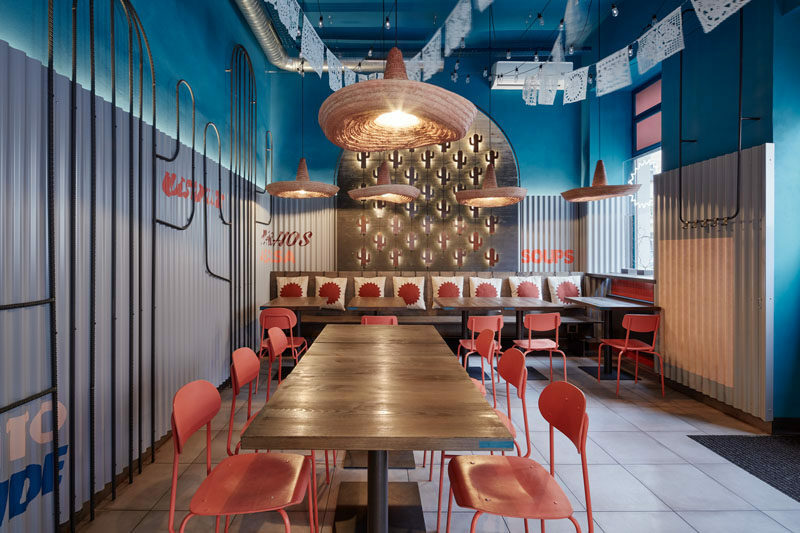 Studio Formafatal have recently completed Burrito Loco, a new Mexican Restaurant in Prague, Czech Republic, that features cacti motifs throughout. On the wall behind the banquette seating, there’s a wood accent that’s the backdrop of a collection of small cacti shapes that are lit from behind, creating a unique lighting feature. 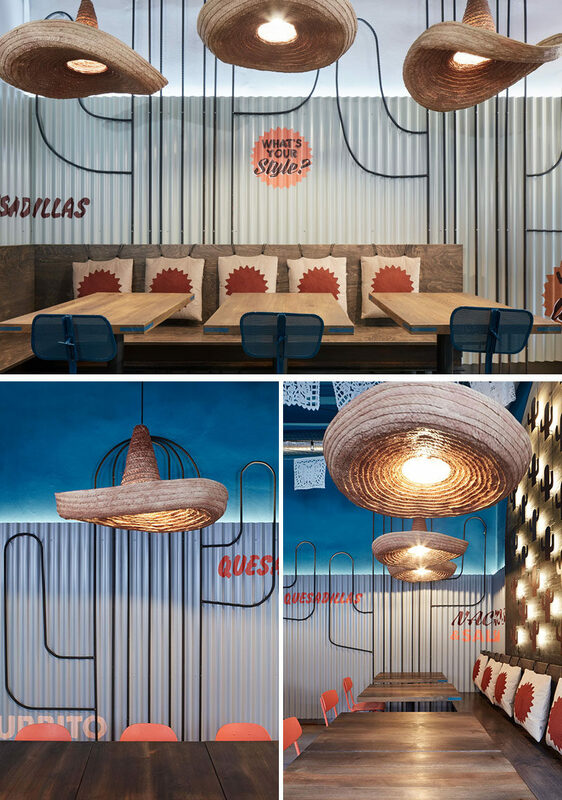 On another wall, there are tall black wire-frame cacti that sit against corrugated metal sheeting, while sombreros have been transformed into lighting. 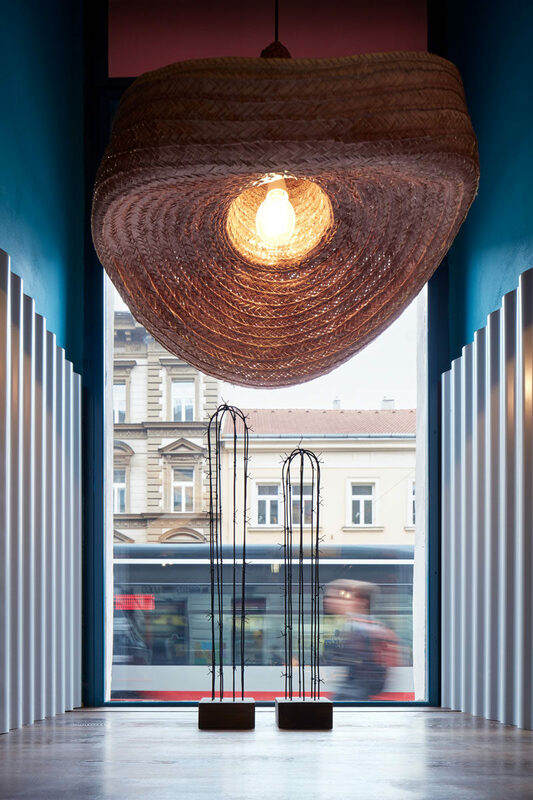 There’s also two standalone cactus sculptures with a sombrero light that occupy a small alcove that looks out onto the street.